The Damned by John D MacDonald – Excellent and peculiar. About a handful of people who get stuck at a ferry crossing near the Mexican/American border, and the misfortunes which befall them. I picked up one of MacDonald's at some point earlier, something which was a bit more straight detective-y and I liked it but didn't love it. This was much better. The writing is really on point, each of the different characters feels well-realized (mostly; in keeping with the noir tradition the assholes and villains are better drawn than the more decent characters.) MacDonald's writing is astute in its depiction of sexual mores as well as casual racism. The structure is likewise really peculiar, with each short chapter taking place from the POV of one of the different characters, ranging from casual gangsters to emasculated husbands. A lot of other mid-century noir writers – Chandler, Hammet, the other McDonald, etc. – had the prose chops to go toe to toe with more or less anyone (almost) but were hampered by having to stick to the usual genre conventions, which are fun but limiting. It's interesting to see what can be done out of those boundaries, kind of like what Highsmith was doing with Price of Salt. Hey, is this out of print? Because if so, it would slot neatly into the NYRB classic's catalog. Keep. 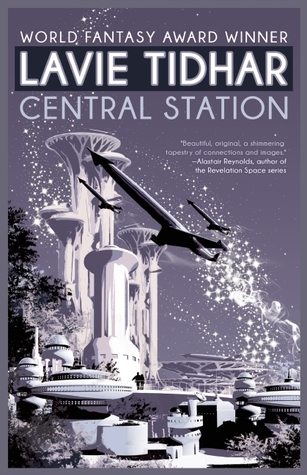 Central Station by Lavie Tidhar – Mushy. Mushy all over. Yeah, I know you gave it to me for free, Lavie, but I still didn't like it. Go back to writing about Nazis. Drop. 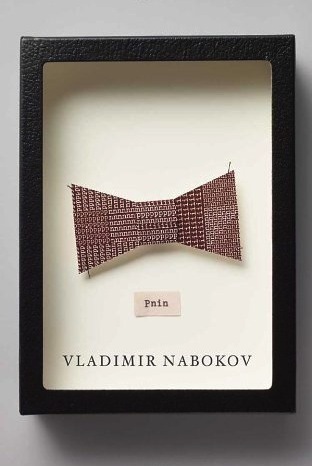 Pnin by Vladamir Nabokov – Yeah, I mean, there's a reason that Nabakov is widely regarded as one of the best writers of the 20th century. This is a small book, both in page count and scope, about the life of an indigent, unimpresive Russian professor, but the prose is masterful, funny and original, and more importantly than that there's a sweetness to him, he doesn't give in to the easy temptation, common to good writers and geniuses generally, to hate the people around him. Keep. The Sagas of Icelanders by Assorted Icelandic Folk – Prose stories detailing the various misadventures of man and woman who were born or exiled to or who died in Iceland from, roughly speaking 900-1200 AD. What's the point of reading ancient works of world literature? 1) it gives you some insight into a past culture, and into the broader sweep of history. 2) it's difficult, and strange, and not like reading anything written in the last few centuries, and there's a value to that in and of itself. 3) there are always a handful of peculiar concepts which are fun to steal and run with – here I really liked the Scorn Pole, which is when if you challenged another dude to a fight and he agreed and then punked out you'd go to his land and put a rotting horse head on a stick in front of his house. 4) it's always fascinating to see these pre-modern societies grapple with emotional issues which are outside of appropriate social norms. But, mainly 5) because it's one of the unique joys of literature to stumble across intersections between the past and present, when the life of a raider/merchant from a thousand odd years ago reflects some similarity with that of a shiftless LA lay-about.